A lot has changed in nineteen years. We see games differently, thanks to years of progression and development. We see gamers differently, because those gamers are growing older and more mature. Most importantly, we look at the world very differently now, because we’ve seen things in the news we had trouble thinking were possible before. 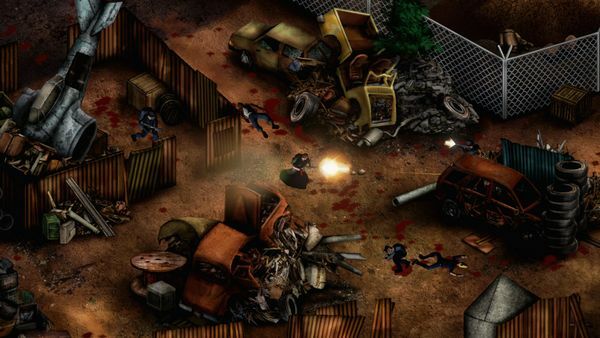 In many, many ways, these changes are reflected by Postal, released by Running With Scissors in 1997 and due for a revamped re-release as Postal Redux later this year. Gamesfiends got to speak to Jon Merchant, developer of the new version, about all of these changes at Rezzed. Once again, the Postal Dude is shooting his way through level after level of hostile (and not-so-hostile) targets, with environments made up of layered sprites for an old-school look but obviously prettied up for the HD era. The twin-stick controls are also as intuitive as you’d expect, with the left stick to move him, the right stick to control where he aims, and the right trigger to fire your currently selected weapon. Your starting weapon, a relatively puny machine gun, has infinite ammo, though as you progress more powerful weapons with finite capacities become available. And if twin stick controls don’t appeal, a keyboard-mouse combo is also available (“I thought that most people would play with joypad, with a couple of pc gamers hitting the mouse-keyboard, but it’s been more or less 50/50. Male and female as well, some people just gravitate naturally to the keyboard and mouse, others prefer the joypad,” he observed). But the game’s mechanics are not the only thing that two decades of reflection might make us reconsider. 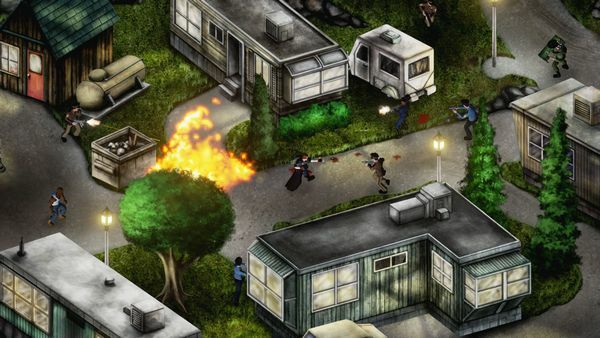 The Postal Dude sets out, shooting his way through the town, which is reflected in the press releases as having had some kind of outbreak resulting in people – mostly police, it seems – becoming crazed… but extracts of Postal Dude’s thought process, displayed between levels, suggest a counter narrative where he is the crazed one. It’s not explicit either way, but between its original release and now, mass shootings have changed how we might see the story unfolding. For a game focused around one man gunning his way through civilian areas, it can be delicate ground to tread. I ask Jon if he feels the world – or at least our knowledge of the world – has changed in the meantime. Civilians on the game maps can be killed in the violence, but it is also possible to play without shooting anybody who isn’t trying to shoot you first – something I confess I missed when playing the demo on the stand, leaving a body count thinking it was for my progression. “[Civilians] don’t [need to be killed] in classic mode. And we’re going to award achievements to anybody who gets through the game without killing a single civilian.” This is something Running With Scissors made an option in Postal 2 as well, a game it was possible to complete without making any kills (“If you look at the [Postal 2] achievements, a lot of people do attempt it”). Postal isn’t unique in stirring up opinion though, having come out in the same year as another title featuring shootouts with police and civilians in-between – GTA. I mention this, and the argument often made to defend that series, that you are your own moral arbiter and don’t need to kill any innocent bystanders – unless you yourself choose to do so. Personally, I felt more uncomfortable with Postal when I thought unarmed targets were required kills, and know I’d likely play through trying keep innocent deaths to a minimum. Jon takes a broad view on why games should be allowed to press moral limits like this. “It’s art, it’s the same as film, it’s the same as books, it’s the same as anything like that. I just don’t understand why games – in 2016 – are being singled out [with] “this is bad, this shouldn’t be allowed in this medium”, whereas no one would bat an eyelid if we’ve got a controversial film released…”, although he pauses to for a moment and reconsiders this. “Well, someone will but not in the same way.” But with a game aimed solely at adult players, we enter the realm of what should and shouldn’t be allowed in case children get hold of it. I accurately quote the inaccurate 2011 statistic that the average gamer is now 37, not so much about teenagers coming home from school to play so much as adults playing after work; although the 2012 statistics provided by the ESA dropped that average to 30, albeit still remaining firmly in an adult age bracket. But despite this a lot of coverage – especially in mainstream, non-gaming media – is quicker to portray gamers as youths, and games as an influence even when not intended for them. 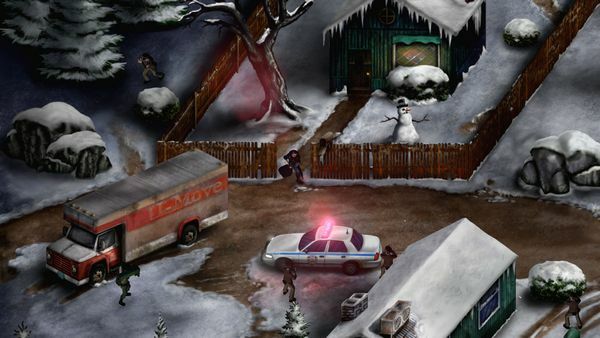 Postal Redux is due for release later in the spring, on PC, Mac and Linux via Steam.